Is Mikael Backlund a $5 Million Player? A year from now with the NHL salary cap at let's say $72 million, what would you pay a free agent with these credentials? That’s a pretty good resume and for that package in today's lucrative NHL, I’d argue you’re easily going to be in the vicinity of $5-million/year over the duration of a long term contract. Why then, if you insert the name Mikael Backlund into the above example, do the guffaws suddenly come out? For me, it shows that despite a breakthrough season, there’s still a sizable divide between Backlund evangelists and skeptics. Add in the World Championships where he had five goals and these past six months we’ve watched Backlund play the finest hockey of his career, no question. Finally the young Swede has looked like the player the Flames thought they were getting when – as the No. 2 ranked European skater, they made Backlund the 24th overall pick in the 2007 NHL draft. I recently suggested on Twitter that while Backlund still has one year to go on his current 2-year/$3-million deal, Calgary General Manager Brad Treliving would be wise to offer Backlund a contract extension this summer. My rationale is if you extend him right now while the “it’s only been one good year” caveat can still be played, there could be savings to be had. Maybe you’re talking a contract in the neighbourhood of $3.5-million/year over the next 4-5 seasons. My argument is if they wait and Backlund repeats next season how he played this past year from late November through April, then Calgary will likely need to dole out $5-million/year instead. The sample size for Backlund advocates last season started at a single game -- Nov. 30 in Los Angeles, when he played over 19 minutes and helped set up the winning goal from Mike Cammalleri in the final minute. That sample size then grew to a week, then two weeks, then a month, then two months. Eventually, a 'hot stretch' morphed into a 'breakout year' that ended up lasting the final two-thirds of the season. During this stretch in which Backlund played 52 games, he racked up 16 goals, 16 assists, 3 SHG, was +10, and averaged 20:22 in ice time. Extrapolate that over an 82-game season and that becomes an impressive year -- 25 goals, 50 points, +16. By last year’s standards, that would have put him second in goals to Mike Cammalleri (26), 2nd in points to Jiri Hudler (54), and 1st in plus/minus by a longshot (Paul Byron, +6). For context, this is not the 1980s any more. Only 42 players in the NHL last season scored more than 25 goals. On July 1, 2015 when Backlund’s current contract expires, he will be 26 years old and just entering his prime. He will be one year away from when he’s eligible to become an unrestricted free agent. Any long-term contract offered by the Flames must take into consideration what Backlund would be able to fetch on the open market if he were to go that route. You essentially are buying out a bunch of his UFA years and that comes at a heightened price tag. The comparable of Kyle Turris was mentioned to me. Also a centre, Turris was drafted third overall in that same 2007 draft. Two summers ago, Ottawa signed him to a five-year contract extension that averaged $3.5 million annually. What makes the Turris situation different from Backlund is at the time he signed, Turris was 23 and still four years away from being a UFA. Thus, a majority of that contract was covering off years in which he would have been under club control anyway as a restricted free agent. That would have impacted the dollars he was offered. Is an RFA this summer after finishing a 2-year/$2.625-million contract. Has one year remaining on a 3-year/$6-million contract. Is an RFA this summer after finishing a 2-year/$5.625-million contract. I wouldn’t put Backlund on the same level as Logan Couture and nor am I suggesting Backlund should make Couture-like money of $6 million. But if he were to have another stellar season like he just had, which is the premise of this article, I think you’d have to rate Backlund above the others including Cody Hodgson, originally drafted by Vancouver, who signed last summer with the Sabres for an average of $4.25 million. The Lars Eller situation will be a curious one to monitor. He’s in a place this summer with the expiry of a two-year deal that Backlund could find himself in next year. Eller’s regular season was up and down but he’s been good during Montreal’s run in the playoffs. I’d take Backlund over Eller but what he signs for will be intriguing as it will become a contract to compare against. Just like the cost of milk, gas, and the McChicken, NHL salaries go up every year also. In 2009, Marian Hossa signed for an average cap hit of $5.3 million. Four years later, Stephen Weiss and Ryan Clowe – signing at the same age, got similar money. Same player? Not a chance. That’s inflation for you. Looking one more time at the Turris contract. Even if you were to ignore the age difference when they signed, and even if you were to argue that Turris is just as valuable of a player as Backlund, that still doesn’t equate to Backlund getting the same contract three years later. Inflation alone would dive that contract in excess of $4 million. With the changes made at last year’s trade deadline, the changes expected this summer with veteran UFAs leaving town, and the youth movement that could occur again next summer, Backlund’s role on the Flames is evolving into that of a veteran leader. This past year Backlund served as an alternate captain a few times when injuries to the likes of Curtis Glencross, Matt Stajan and Mike Cammalleri created an opportunity. He recently wore an ‘A’ for Team Sweden at the World Championships. You know a permanently stitched-on letter is forthcoming, it’s just a matter of when. It could even be this year as part of a group of rotating alternate captains with Glencross and Stajan. Regardless, you pay a little extra for experience like that. If you’re averaging over 20 minutes per night as a forward, you are a key cog on any hockey team. During that 52-game stretch for Backlund, he averaged 20:22. Those weren’t easy minutes either – often matching up against the No. 1 lines on the opposition and killing a ton of penalties. Only 20 forwards in the league averaged more ice time last season than Backlund during that stretch and it’s a pretty impressive list with a lot of star power and hefty salaries. Here's that list, which includes average ice time from last season along with their 2014-15 salary. Of that group, the lowest 2014-15 salary is Kyle Okposo (on third year of a 5-year deal) at $3.5 million, and that’s still $2 million more than what Backlund will make next season. Only two others will make less than $5 million in 2014-15 – Leaf teammates Tyler Bozak and James van Riemsdyk. The advanced stats community have lauded what Backlund has done on the ice for a long time now, probably a longer period than the traditional stats folks have taken notice. I won’t get into Backlund’s Corsi and all of that because I don’t know enough about what the numbers mean and what they reveal. But what I do I know is Backlund’s analytics seem to support what I see when I watch him in person and that is a guy that is out there to take many of the team’s important face-offs and whose team seems to have possession of the puck a lot of the time when he’s on the ice. Having these types of guys is critical for a team to have success. For Backlund’s age in respect to free agency, for what he brings to the club, and also factoring in when other contracts were signed and the circumstances – UFA vs RFA, 3rd pro contract vs entry-level deal, etc., where would (or should) a Backlund deal logically fit into the existing Flames roster? 31-year-old David Jones and Jiri Hudler, both on the books for $4 million in the last year of long-term deals. Matt Stajan, who would also be 31 at that point, would be owed $3.1 million. Dennis Wideman would have another year left at $5.25 million. In this context, paying your 26-year-old No. 1 centre $5 million over a long-term deal would seem to fit right into how the roster is structured. In fact, you could even argue Backlund would be worthy of more. Note that I purposely did not compare a Backlund potential deal to Mark Giordano’s existing contract as we can all agree that at $4 million, the Flames captain and heart and soul is grossly underpaid for what he’s become and assuming he’s re-upped by the Flames prior to when he becomes a UFA at age 32 in the summer of 2016, expect him to be handsomely compensated. Someone asked me, “What if he goes back to being the old Mikael Backlund?” Well, there is that risk every time you sign a player to a long-term contract. For me, what I look at is what is the potential downside, what parts of his game could deteriorate? I see a player who has a variety of attributes in his game that are about as immune to slumps as you can get. His defensive abilities and ability to shut down opposing top lines, that shouldn’t waver that much. His skills as a penalty killer and his leadership are two more areas that aren't going to suddenly go cold. If his offensive production dries up and he ends up a third-line player at 15-16 minutes per night then sure, you’ve probably over paid but with everything else you’re still getting from him, it will never be one of those unmovable disaster-type contracts. There are too many intangibles Backlund brings that are slump-proof for that to ever be a legitimate risk. Backlund is not of the same ilk as Jonathan Toews/Patrick Kane or Sidney Crosby/Evgeni Malkin. Not even close. But what an organization can learn from the different contract situations facing Chicago and Pittsburgh is that locking in your key players to affordable deals can really help save money for the supporting cast down the road. Toews/Kane at a combined cap hit of $12.6 million has given the Blackhawks flexibility these past few years that Pittsburgh hasn’t had with Crosby/Malkin’s $18.2 million. It’s not a coincidence that Chicago goes deep into the playoffs seemingly every year while Pittsburgh was eliminated early once again this year. While it’s all well and good for me to say the Flames should offer Backlund a contract extension this summer and make it in the 5-year/$18-million range, it takes two sides to agree to a deal. For all of the reasons mentioned above, Backlund -- gushing that new-found confidence, may realize the situation he is in and what those dollar figures could look like next summer if he has another huge year, and maybe doesn’t accept that kind of offer anyway. But if I’m the Flames GM, I’m at least going to make the offer and even if I need to sweeten the deal to $4-million/annually to get the extension inked right now, I’d still do it as it could turn out to be a very good deal for the organization in the long run and every dollar saved could end up being critical as the young prospects get older, get paid more, and that salary cap ceiling – as opposed to the floor, starts becoming a factor once again. The team has a name -- officially minted the Adirondack Flames on Friday, so that's a good start. Calgary's new American Hockey League affiliate also has a logo and a pretty sharp-looking one at that, modeled off the Flaming 'A' famously worn by the Atlanta Flames for eight seasons in the 70s before relocating to Calgary in 1980. What isn't known is the coach, or the roster although the speculation on the latter can begin already and that's exactly what I've chosen to do today. Last week, I identified nine players that played in Abbotsford last season and I broke down the odds of each of them graduating to the NHL and wearing a Flaming 'C' for the 2014-15 season. You can read that piece here, which also contains the year-by-year list of Flames AHL grads going back to 1989. It's quite interesting. This time, I'm going to reverse engineer that story and look at things from the opposite viewpoint. Today I ask who are the best bets to be wearing that glorious red Adirondack Flames jersey next October when the AHL season gets underway. 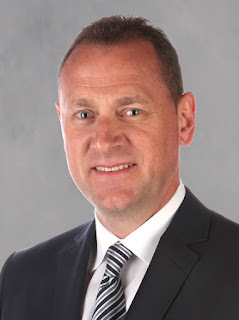 Obviously, much can happen this summer as new Flames GM Brad Treliving settles into his new role, new team and assesses the state of the organization and what his priorities are. But for now, based on players under contract right now, and who I think the club will re-sign, here is my guess at what the make-up of the Adirondack roster will be for 2014-15. The NHL is filled with many great players, who needed multiple years of seasoning in the AHL to adjust to the pro game and establish themselves. Examples are Patrick Sharp (163 AHL games), Jason Spezza (123), Gustav Nyquist (122), Nazem Kadri (119), Ondrej Palat (117), Brad Marchand (113), David Krejci (94) and Kyle Turris (86). Regulars from last year's Abbotsford team, who are noticeably absent, are centre Markus Granlund, left-winger Max Reinhart and defenceman Tyler Wotherspoon. As I explained in my AHL graduation piece, I feel these three are your best bets for moving up to the Calgary Flames next season. Ferland and Baertschi are two others that have decent shots at sticking with the Flames but more likely will be possibilities for mid-season call-ups if they earn it. As if they had won a NCAA shopping spree, the Flames inked four players out of U.S. college in the span of 26 days last spring. Given the rigors of the professional game schedule-wise compared to the relatively light 40-48 game college schedule, and given where these players skill sets are at right now, I see three of the four signings as virtual locks to be in Adirondack next year. The wildcard is the uber-talented but diminutive-sized Johnny Gaudreau. I love watching the kid play. He's the most compelling player to watch that this franchise has had since Theoren Fleury. But after his NHL debut, I had the audacity to suggest there are plenty of reasons why the AHL may be the smart place for the 5-foot-8, 159 pound Hobey Baker winner to begin what I believe will be a long and successful NHL career. That said, he sure continues to show that he may be NHL-ready right now with the IIHF World Championships his latest proving ground. Nonetheless, for the purpose of this exercise, pencil in all four to at least start the year in the Eastern time zone although Glens Falls residents, don't delay in seeing Gaudreau if you are lucky enough to get the chance as he may not be around for long. On a side note, Glens Falls, New York, is driving distance from the hometowns of Arnold (Needham, MA), Gaudreau (Carneys Point, NJ) and Agostino (Flanders, NJ) so that's a nice fringe benefit for those guys. To be eligible to play in the AHL in 2014-15 per a standing agreement that's in place between the Canadian Hockey League and the NHL, players must born in 1994 or earlier. So, that immediately eliminates Adirondack as being a possible destination for 2013 draft picks Morgan Klimchuk and Keegan Kanzig. Their options next season are the same as what they were last year for Sean Monahan, which was return to junior or stay in the NHL. Safe to say they'll be back in the WHL for one more year. The situation with defenceman Eric Roy is less clear. He is not under contract yet but if he is signed, he would be eligible to play in Adirondack. He's already played four full seasons in the WHL but he could return as an over-ager for one more. As a 2013 draft pick, the Flames have until June 1, 2015 to sign him. On the other hand, left-winger Coda Gordon, drafted in 2012, is a player that either needs to be signed in the next two weeks or will go back into the draft (signing deadline is June 1). He inked an AHL contract with the Heat at the end of this past WHL season but he never did suit up for a game. With the plethora of college forwards that have joined the organization, it's quite possible that Gordon's days as a Flames prospect may be counting down. Kulak is a guy you can expect to start hearing more chatter about. As he had done the season prior, he joined Abbotsford after the Vancouver Giants season ended this year and he looked very good in the games I watched. Calm and cool on the ice, he is solidly built and moves the puck well. He is also coming off a break-out season offensively (14-46-60 in 69 gm) so keep an eye on him. Poirier, along with Gaudreau, is one of the Flames elite prospects at this juncture and although he had a nice NHL camp last year, and showed well in spurts in the AHL, getting in five games after his phenomenal 50-goal season with Gatineau had ended, the reality is he was a healthy scratch for the Heat's final game. The jump from the QMJHL to AHL is massive and I would suggest Poirier is destined to start next year in Adirondack where he'll quickly become a fan favourite with his combination of grit, speed, and offensive creativity. Just inked to a two-way contract last week, David Wolf will be 25 years old by the time next season begins. With a reputation of being a tough, ornery competitor, the 6-foot-2, 215 pounder is expected to challenge for a bottom six role for the Flames in training camp. However, the reality is he's coming from the German league and I would be surprised if he cracks the big club immediately. Instead, expect him to bring a thick dose of truculence to the Adirondack line-up. Of the 18 skaters (not counting two goaltenders) that teams may dress for a game, at least 13 must be qualified as "development players." Of those 13, 12 must have played in 260 or fewer professional games (including AHL, NHL and European elite leagues), and one must have played in 320 or fewer professional games. All calculations for development status are based on regular-season totals as of the start of the season. For the Flames, however, meeting this minimum is not a concern in the slightest and that's a good thing. More so, what Calgary needs to guard against is having too many young players. The transition from junior or college hockey to the AHL is a more difficult jump than most people think. Young men suddenly find themselves playing against bigger, stronger, and more mature men in their mid-to-late-20s and early 30s and it's a whole new level. Troy Ward, head coach the past three years at Abbotsford, frequently talked about the maturing that guys must do when they arrive in the AHL and that it can take longer for some than others. It's why the ingredients of a successful minor league team includes a core of veterans to be leaders on the team, who can lead by example, take players under their wings, and be the voice in the dressing room. On last year's team, these were older players like 33-year-old Dean Arsene, 34-year-old Trevor Gillies and 29-year-old Corey Locke. You could include longtime Abbotsford forward Carter Bancks in that group as well. There was also 30-year-old Shane O'Brien after he was demoted by Calgary, and journeyman centre Ben Street. O'Brien is under contract for another season so could be back for another year in the AHL as I doubt he'll play another game for the Flames. However, there's no doubt Treliving will investigate options to move on from O'Brien. Street is a pending UFA and likely signs with a new organization although his experience could fill that veteran role that the club will inevitably fill with someone. Chad Billins is an RFA and that one could go either way. He's a tremendous player at the AHL level -- smart, skilled, but lacks an NHL frame at 5-foot-10. The AHL may be his ceiling. But at age 25, he would be a solid veteran presence on what otherwise is shaping up to be a youthful blue-line with the likely departures of UFAs Chris Breen and Derek Smith and RFA Mark Cundari. For now, my guess is O'Brien remains for another year and Billins is re-signed. Through the summer, there will be free agents signed by the Flames that will end up in Adirondack. You can count on it. These will be players that other organizations are moving on from that the Flames may still see some possibility with, or are the aforementioned leadership material the organization is seeking to surround it's top prospects with to help guide them. I would expect to also see a trade or two that may bring prospects in or ship them out or a little of both. But for now, the above list gives you a roster of 12 forwards, 6 defencemen and 1 goalie and you can bet they will make up the bulk of the roster of the inaugural edition of the Adirondack Heat. Lastly, don't forget about about the Flames ECHL affiliate in Alaska, the secondary or 'AA' development team affiliated with the Flames. Ramage, for example, was re-assigned there in mid-March due to the excess number of defencemen in Abbotsford. Also there is Elson. Alaska is still alive in the ECHL playoffs, currently playing Bakersfield in the best-of-seven Western Conference final. So, that's always another option that may become the home for a couple of the organization's lesser prospects mentioned above. We'll have to wait and see in September if exciting top prospects Gaudreau and Poirier can make the jump to the NHL but if the club decides to exercise patience with both of them, it's sure stacking up to be a pretty darn exciting team that the folks in Glen Falls and the Adirondack region are going to enjoy watching next season and for many years to come. AHL Graduation Day: In the past five seasons, just four Flames players have graduated from the AHL to the NHL. Next season alone, there could be four. I take a closer look. The Big-Time Emergence of Max Reinhart - He tripled his goal total, tripled his point total and turned a frightening minus-26 into a trustworthy plus-6. Reinhart broaches a variety of topic as he talks about his breakout second season in Abbotsford. AHL Graduation Day: Which Flames Prospects Will Make the Jump to the NHL in 2014-15? It's not news to anyone that follows the Calgary Flames that drafting and player development has been an issue that has crippled the organization over the years, especially over the last couple decades. A big reason the club is where it is today – five years removed from the NHL playoffs and just settling into a rebuild, has been the club’s inability to grow its own talent. Unless you’re picking in the top five in the NHL Entry Draft -- or better yet, in the top three, and are able to select a premium talent that may be able to step right into a NHL line-up, the American Hockey League is generally where you groom your players. Considering the Flames have never drafted in the top five since relocating to Calgary in 1980 – the only NHL team with such a distinction, the AHL player development model most certainly applies to them. But, a sign that this model has been broken for quite some time is the reality that in the last five seasons, only four players have come up through the Flames AHL affiliate in Abbotsford into full-time roles with Calgary and half of them -- Paul Byron and Lance Bouma, were last season. The other two were TJ Brodie (2011-12) and Mikael Backlund (2010-11). Now it’s true that over this period, the Flames are guilty of having been an older team with too many guaranteed one-way NHL contracts, which left little realistic opportunity for a young player to crack the roster. That said, if there had been quality prospects knocking down the door of the NHL, who had proven that they were too good for the AHL, the club surely would have found a way to fit them in. So, how many players typically move up from an organization’s AHL team to the NHL club each season? That will vary from team to team but for Calgary, if you go back to 1995-96 when the Flames AHL affiliate was based in Saint John, every season for eight consecutive years a minimum of two players graduated. I define graduation as going from having spent a full (or nearly a full) season in the AHL to playing a majority (if not all) of the next season with Calgary. Fast forward to 2006-07 and once again, the next three seasons saw two players each year parlay AHL bus trips into NHL chartered flights the year after. Listed at the bottom of this article as reference is the full list of every home-grown AHL graduate (who subsequently played for Calgary) going back to when the Flames won the Stanley Cup in 1989.
Who Will Make the Jump in 2014-15? With the Flames committed to rebuilding and giving youth the opportunity to prove themselves when they've demonstrated they're ready -- or so we’re led to believe, and with lots of quality prospects in the minors for the first time in quite a while, the question we annually ask ourselves has changed. No longer is it will any players move up to Calgary next season, but more so, how many? Looking at this past year’s Abbotsford team, I would suggest there is a very good possibility that next season could be the first time in 18 years for this organization that more than two players will make the jump from the AHL to the NHL. This season, Abbotsford posted its best record in its five seasons as Calgary’s affiliate. Encouraging was the fact that they did so with a relatively young team featuring plenty of Flames draft picks and rookies compared to past editions where journeymen like Krys Kolanos, Clay Wilson, Carsen Germyn and Cam Cunning were the team’s best players. Going into the summer, based on the season just completed, here is how I’d handicap the competition to make the Calgary Flames for 2014-15. Included is their AHL totals from this year. C Markus Granlund (52 gm, 25-21-46) – A very talented kid with great vision, who can score a highlight reel goal but isn't afraid to go to the tough areas and get his nose dirty to score a goal either. He just had the most prolific goal-scoring year for a Flames 20-year-old in the minors since Theoren Fleury. Prior to coming to North America this past year, Granlund played two years in Finland’s SM-Liiga so despite just turning 21, he’s played against ‘men’ for three seasons. After a late February call-up, he scored two goals in seven games for the Flames before suffering an injury. He returned to action late in the year with the Heat and had a good playoffs. This guy looks ready. D Tyler Wotherspoon (48 gm, 1-8-9) – Looked just fine in 14 games with the Flames in March before undergoing shoulder surgery. More time in the AHL wouldn’t hurt his development but at the same time, he has shown he's a very capable player who as a next step might nicely benefit from being under the tutelage of Mark Giordano next year. LW Michael Ferland (25 gm, 6-12-18) – Listed at 6-foot-2 and 215 pounds, he’s got the size that gets his resume near the top of the pile in a Brian Burke organization and he nearly made the Flames after a great training camp. He struggled offensively upon landing in the AHL with no points in his first 11 games but broke out of that funk with a bang going a scorching 6-12-18 in his next 14 games before his season came to a screeching halt in mid-December with a knee injury that required surgery and sidelined him the rest of the year. With a strong camp in September, the 22-year-old has an excellent chance to make the Flames. LW Sven Baertschi (41 gm, 13-16-29) – He reportedly made improvements in his overall game this year and has said himself he’s progressed. After his December demotion, his offence went dry for a while but did return in the second half of the year although went quiet again in the playoffs. Presence of a new Flames GM gives Baertschi a second chance to make a first impression. He has the potential to make the opening night NHL roster but will need to earn it. His broken rib at the World Championships was a tough blow as that would have been a nice seven or eight-game opportunity to to showcase himself for Brad Treliving, who is in Belarus as well as the assistant GM for Canada. G Joni Ortio (37 gm, 27-8-0, 2.33 GAA, .926 SV%) – He played well in nine games with the Flames but having just turned 23, he’s too young to be a NHL back-up. With Karri Ramo having earned a shot to open next year as the No. 1 starter in Calgary, expect a veteran to come in to compete with and/or back-up Ramo, and for Ortio to spend next season as the de facto starter in Glens Falls. 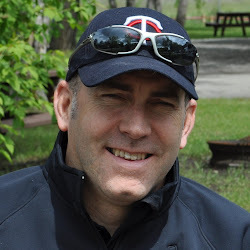 Since moving to Calgary in 1980, the Flames have really only drafted and developed three goaltenders – Curtis McElhinney, Trevor Kidd and Mike Vernon. Ortio might very well be the fourth but more AHL seasoning won't harm his development. Ramo’s contract expires after next season so it's 2015-16, or perhaps even late this upcoming season when things in the crease will get interesting. RW Ben Hanowski (55 gm, 13-18-31) – He worked hard to improve his skating last summer. Given he was up for 11 NHL games, I suspect Flames will re-sign the pending RFA for another season and give him one more look. He's shown he's a solid third or fourth-line player in the AHL but does he have enough tools or is he truculent enough to secure a long-term role on an NHL roster? I’m not so sure, yet. C Corban Knight (70 gm, 18-26-44) – There are a lot of things to like about his game – has a good skill set offensively, is dependable defensively, is leadership material off the ice. For now, he needs to continue to develop his on-ice game before he’s ready to be a full-time NHLer. Also, as a centre, I slot him behind Granlund on the depth chart in terms of the next-in-line at that position behind Mikael Backlund, Sean Monahan and Matt Stajan. D Patrick Sieloff (2 gm, 0-0-0) – Missed pretty much the entire 2013-14 season due to a serious staph infection. He should be back in good health for camp this fall and while the injury shouldn’t have any lasting impact on the hard-nosed, heavy-hitting NHL-calibre defenceman many expect him to become, it will most certainly impact his time line on when he gets there. I would expect him to spend most of next season at minimum in the AHL. Missing a full season at age 19 is a tough one developmentally and it will take him a while to recover. Here is the full list of Calgary Flames AHL grads going back to 1989 when the Flames won the Stanley Cup. The year listed is that player’s first full season with Calgary. They will have spent all or most of the previous season in the AHL (and possibly more). The Big-Time Emergence of Max Reinhart - He reflects on his breakout season, where he got better, what he's still working on... and if brother Sam will fall to the Flames in the 2014 NHL draft. Johnny Gaudreau: A Limited Engagement? - Excitement, hype and optimism aside, here's why starting 'Johnny Hockey' in the AHL next season is probably the wise thing to do.